Conveniently located in the heart of Liberty Village! Taking new patients, come by and visit us. Your community family veterinarian contributing to your dog and cat's health and well being. Welcome to Liberty Village Animal Hospital owned and operated by Dr. Ellen Kinzl. We are a brand new clinic which just opened in March 2016 and are thrilled to be joining this wonderful neighbourhood. 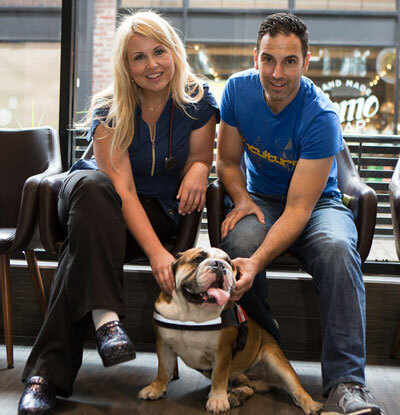 Liberty Village Animal Hospital (LVAH) is a full-service animal hospital conveniently located in the heart of Liberty Village. We provide a full range of services in-house that helps your pet live a long and healthy life. Our brand new clinic is a spacious and bright environment, ensuring even the most timid pet is comfortable during their visit. Equipped with the latest technology and state of the art equipment, we ensure your pet receives the excellent care you are looking for. Our in-house diagnostic system allows us to determine your pet’s needs in real-time so we can get them on their way to feeling better sooner. Please feel free to drop in anytime to say hello and meet our team! And don’t forget to get a treat for your pet! 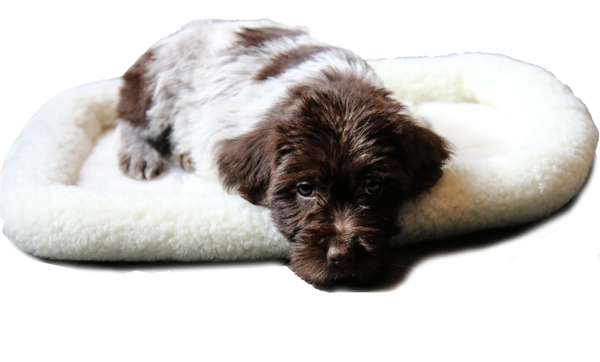 We are pleased to be able to offer to our clients and patients wellness plan packages for puppies and kittens as well as adult dogs and cats. By offering these plans it takes some of the financial burden off your shoulders by allowing affordable monthly payments over the year for preventive health care services. The goal of these plans are to help ensure your pet stays as healthy as possible by focusing on vaccines, deworming, wellness blood and urine testing, dental care, nutrition, flea, tick and heart worm prevention and the use of supplements. Please see below for a more detailed description of the plans we offer. We firmly believe in the importance in working as a team to ensure all aspects of your pet's life is as healthy as it can be. I've come from an extensive background working in emergency medicine for most of my career. Occasionally, I have worked as a relief vet in traditional family style hospitals and this is where my desire to work with clients and their pets on a regular basis was born. What sets us apart is our small family style team in which each member carries an extensive amount of experience working in emergency medicine and in specialty practices alongside several board certified specialists in veterinary medicine. Our focus lies in preventive medicine to keep your pet healthy as well as assessment and disease diagnostics when your pet falls ill. 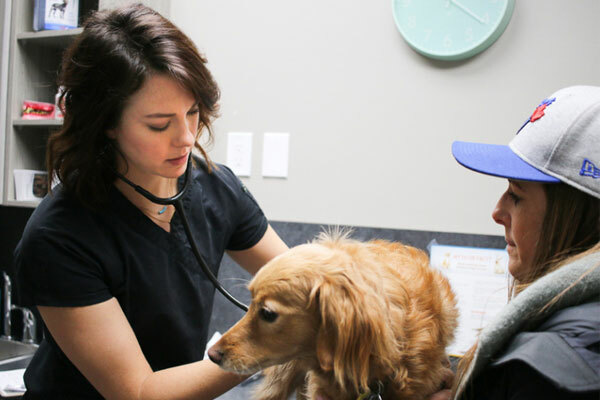 While we pride ourselves in our strong background in veterinary medicine we also recognize that we are very fortunate to have so many specialists in veterinary medicine situated in Toronto. That being said, at times we may choose to refer your pet to one of these excellent facilities for ongoing care for your furry friend. My name is Ellen Kinzl and I'm so happy to be fortunate enough to open my first animal hospital here in Liberty Village. 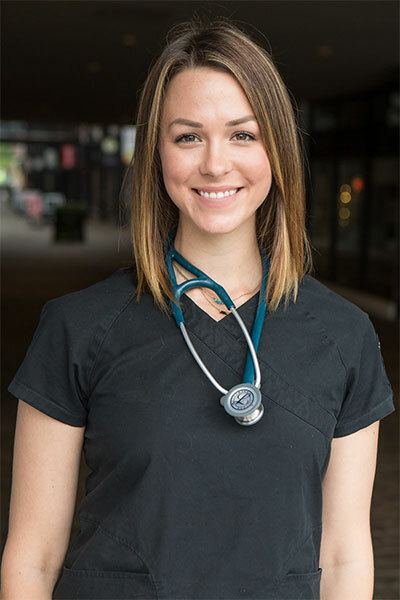 For most of my career since graduating from the Ontario Veterinary College in 2006 I have worked in emergency medicine in referral hospitals in the GTA as well as in Sydney, Australia alongside an extensive amount of board certified specialists. This has been a wonderful time of my life as I have gained a tremendous amount of important experience in veterinary medicine. It has been challenging and fast paced, but what I found to be lacking was a close relationship with pet owners and having a consistent presence with clients and their pets. I love my work as a veterinarian but I also love my free time. I'm a self proclaimed travel addict and have been so lucky to have been able to see so many wonderful and exotic places in the world. Several whitewater rafting trips have lead me to these places including South America, Nepal, India and Africa. I could literally talk about traveling for hours! If you're ever in the neighbourhood and have some free time and are like-minded stop by to share experiences! 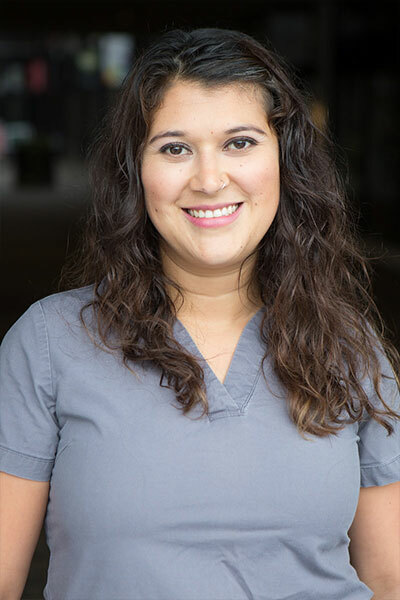 My name is Jessica Poplata and I am so excited to be part of the team here at Liberty Village Animal Hospital. I have been a Registered Veterinary Technician for just over 4 years, in which I spent working in an Emergency Referral Center in the Surgery Department, as well as in Critical Care. This has allowed me to gain extensive experience and knowledge in anesthesia and advanced nursing care. With that being said, I am looking forward to switching gears to focus on preventative medicine and watching our furry loved ones grow. I truly believe our pets are an extension of our family, as such should receive the best care possible. I absolutely love what I do and the people I work with; the feeling you made a difference in an animals’ life is indescribable. I have two pets of my own, a dog Hugo and cat Jax, both of which keep me very busy and happy. When I’m not working, I love to try new restaurants, stay in and cook, stay active, and spend time with friends. Liberty Village is filled with tons of great people so I am looking forward to meeting all the animal parents! My name is Erica Navarro and I am very happy to be part of the team at LVAH. I am a veterinarian in my home country of Mexico and studied at Universidad de Guadalajara. I spent most of my time as a veterinarian working with sheep and general farm animals. 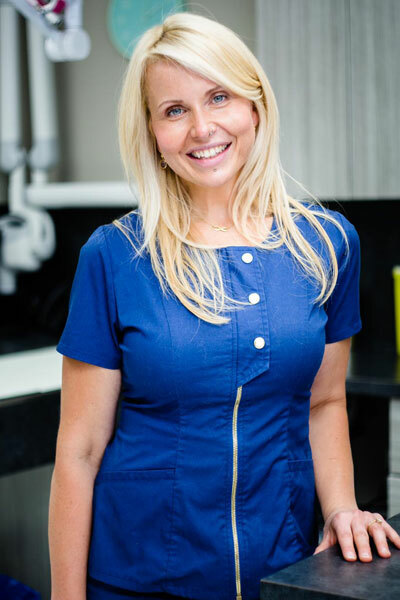 The opportunity to work with this amazing team will provide me with tools to achieve my goal which is working to obtain my veterinary license to practice in Canada. My husband Matt and I have a wonderful 6 year- old dog named Reggie who often will be at the clinic with me to provide a warm greeting to you when you come in! 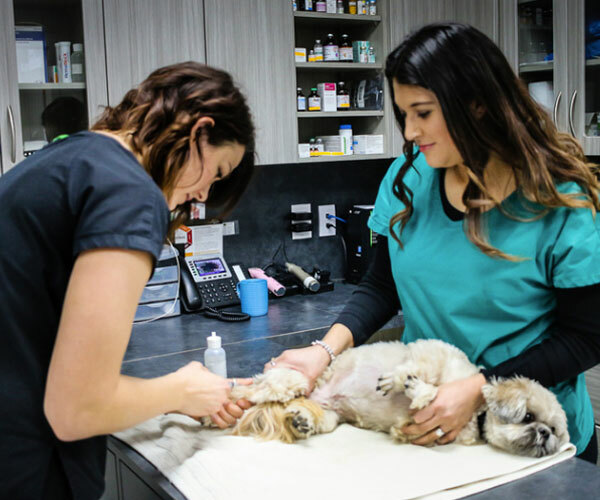 Recognizing that maintaining your pet's health requires a full team effort, we have several partners we take pride in having a close relationship with to be able to extend their services to you. Now you can enjoy the benefits of home delivery of your pet's prescription medications and diets, as well as a wide range of non-prescription items. We trust you will enjoy the ease of buying products and prescriptions for your pets on-line and the convenience of having them delivered right to your home. Our experienced and knowledgeable staff are ready to help you find the best health outcomes for your pet and we are committed to extending this service by delivering high quality, veterinarian-approved products right to your door. Sign in now to re-order your pet products or to check the status of your order. If you are a registered user, access your account by using the link provided in your re-order reminder email or by entering your login information into our sign-in box on this web page. If you are new to our web store, please contact us and we will be happy to sign you up. Or click on this link to let us know that you would like to register for a web store password.